Phil Fersht (Founder and CEO, HfS Research): Chris - you've been a terrific guy who adds so much energy and colour to the intelligent automation industry... but can you shed a little light on your story? How did you find yourself setting up the business in 1995? Was the focus on intelligent automation back then? I thought we were all going nuts about ebusiness! Chris Boos (Founder and CEO, Arago): Phil - I originally wanted to do AI research at a university and then I saw how slow academic research is today with the way it is financed. I chose to do it inside a company instead. We could control the pace there. We setup arago to research general AI and my belief has always been that general AI is all about automation. If it is intelligence – even the quite boring artificial version – I guess you could say that smart automation was my goal, then. Still enjoying life now GDPR's cleaned up your inbox, but now realize HfS is the one you just cannot live without? Let's be honest, you probably do need to keep up-to-date with the finest change-agent research on RPA, blockchain, AI, and much more, right? Then you really must register here to receive HfS' content, or update your email subscription to keep receiving us. Phil Fersht, CEO and Chief Analyst, HFS Research: Welcome to your first HfS interview Salil! Maybe you could take us a little bit back to your early career. When did you get the appetite to lead one of the largest IT services firms in the world? You know, was this something you always wanted to do? Was this planned, or have you always been an opportunist? Salil Parekh, CEO, Infosys: Thank you, Phil, this was quite an un-planned scenario for me. So, maybe when I finished with Engineering, a Master’s in Computer Science, and I was working with a consulting firm for years. Then we got acquired by a consulting and tech company, so I’d basically been in the same company for 25 years. And then this opportunity showed up a few months ago. It’s a tremendous privilege to have this opportunity. It’s one of those things you dream about, in your career, as you sort of think, ‘Maybe it’s possible,’ but when it happened, at least, for me, it was completely unplanned. So I’m delighted to be here, I wish I could plan such things, but I can’t [laughter]. 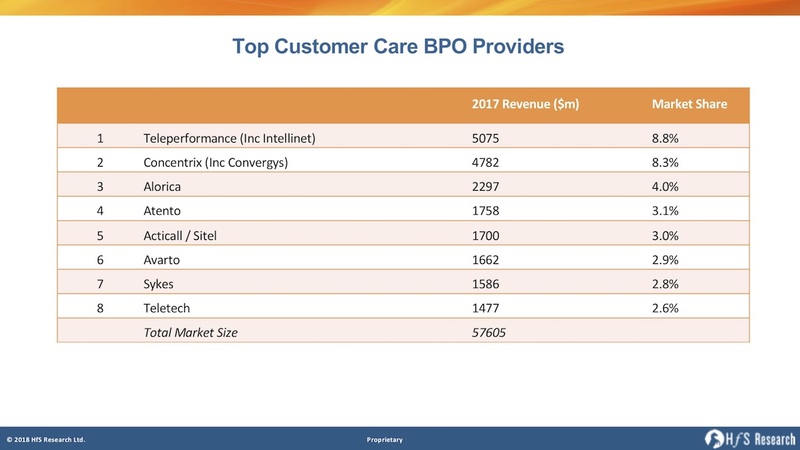 Phil: So, how would you compare this new Infy experience with Capgemini, you know, both global services powerhouses, one with a Parisian epicentre, the other one Bangalorian, so – what haves been your observations? So why did we undertake this research? 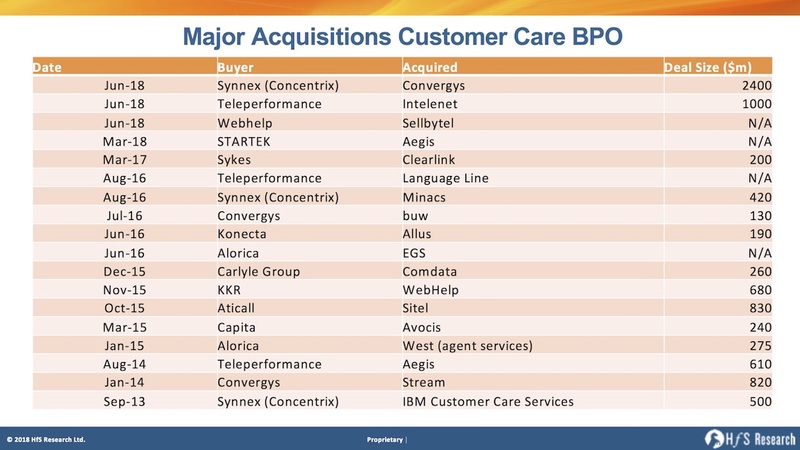 Our industry is plagued by many consultants with limited depth in RPA, who have no access to product level data that supports the tough decisions facing enterprises. In addition, most analysts deliver these 2 x 2 matrices which offer very limited insight or value (and all look remarkably similar). It’s time to dispel myths and provide enterprises with unbiased, credible and highly statistically significant data. 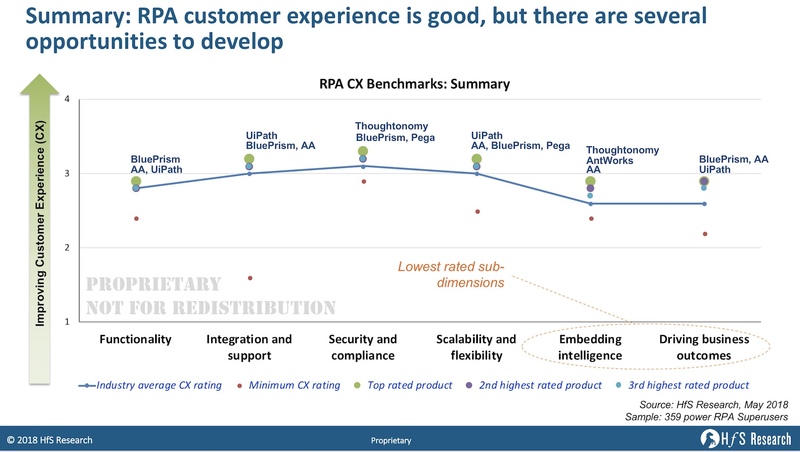 The HfS RPA customer experience benchmarks are designed to help enterprises with RPA product selection as they formulate their intelligent automation roadmaps. 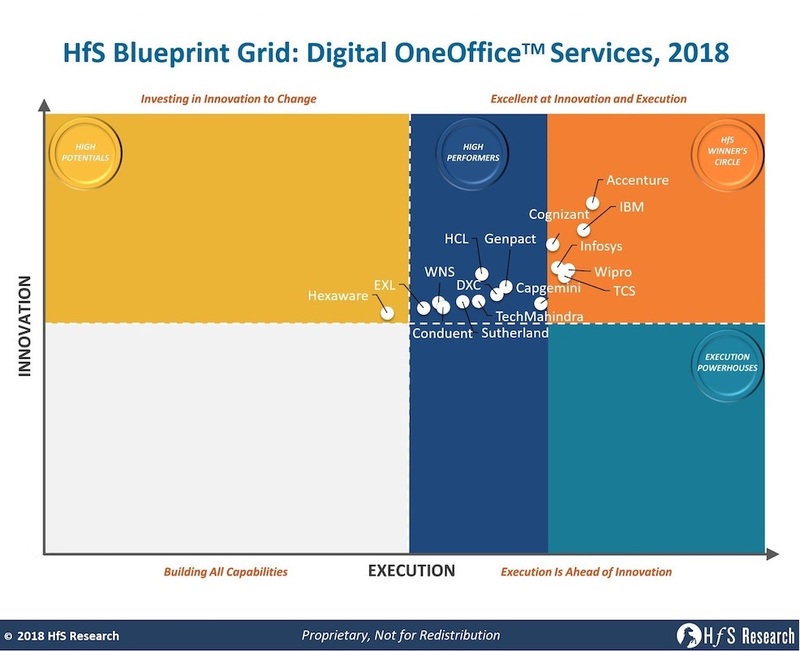 In addition to the report, HfS is also launching an online RPA decision-support tool for enterprises to enable client-specific due diligence on RPA providers. This tool will allow HfS clients to customize the decision criteria and associated weights from the available 40+ customer experience dimensions. It will provide clients a customized report detailing the top three RPA products that the client should consider, based on the rich insights that HfS collected as a part of the RPA study. HfS analysts are also supporting RPA clients through collaborative ThinkTank sessions, half-day workshops designed to problem-solve and validate strategies. These ThinkTanks go beyond the data where HfS analysts can share HfS IP, perspectives, and experiences on RPA tool selection, best practices, and common pitfalls to avoid. The industry is still struggling to solve challenges around the process, change, talent, training, infrastructure, security, and governance. Our mission at HfS is to dispel this confusion and uncover the truth to successful RPA deployment. It's time to separate the hype and propaganda from reality - and here is the reality!